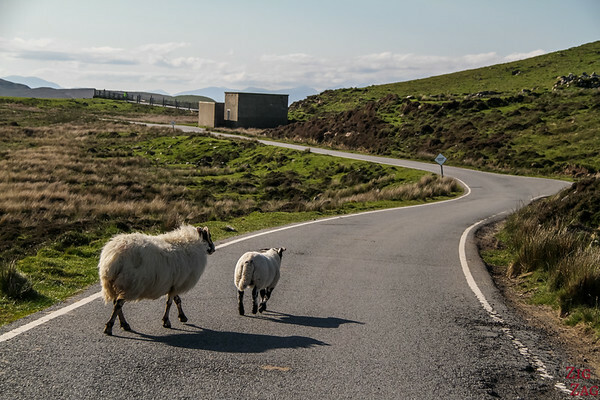 Road A855 covering the north of the Trotternish peninsula is a one lane road with many passing places. 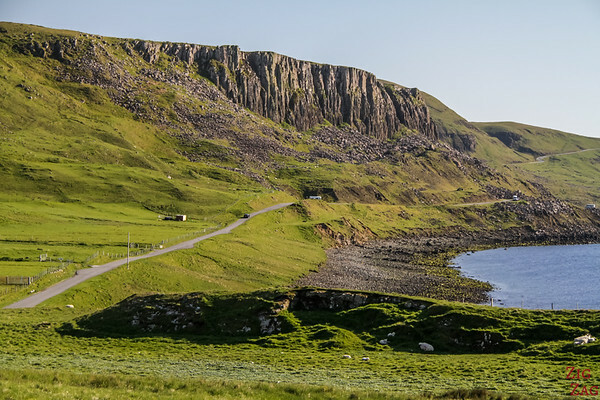 As you leave Staffin and the views from Quiraing Skye behind, you can see different perspectives of the Trotternish ridge. 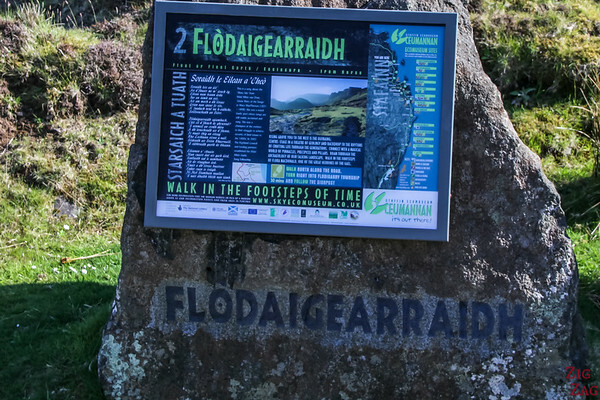 I did not know about this place with the crazy name of Flodaigearraidh (who knows how to pronounce it?). But I saw the parking spot and was intrigued. 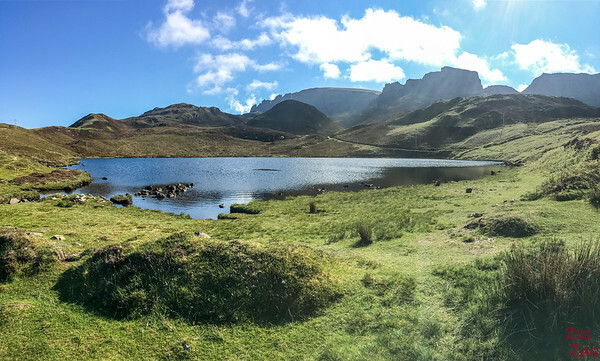 After just a 3 minutes of walking I was happy to discover the beautiful little Loch Langaig with the mountains behind. 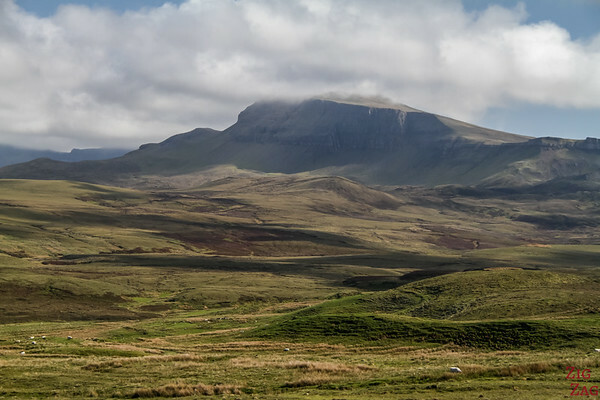 The light was too harsh for good photography but I can tell you this was one of the my favorite places o﻿n ﻿the Isle of Sky﻿e. 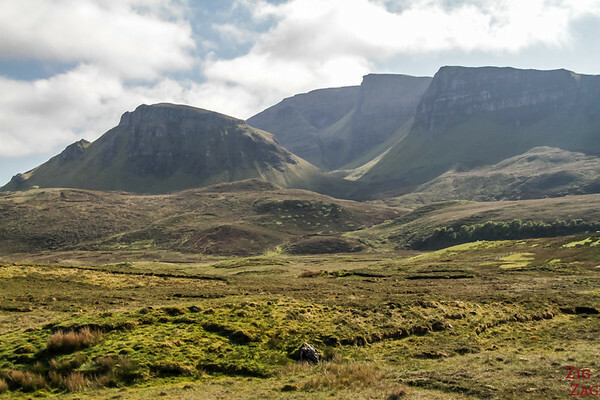 From there start the Fingal's Pinnacles walk (2 to 4 hours) or the 2 days long Trotternish Ridge hike. 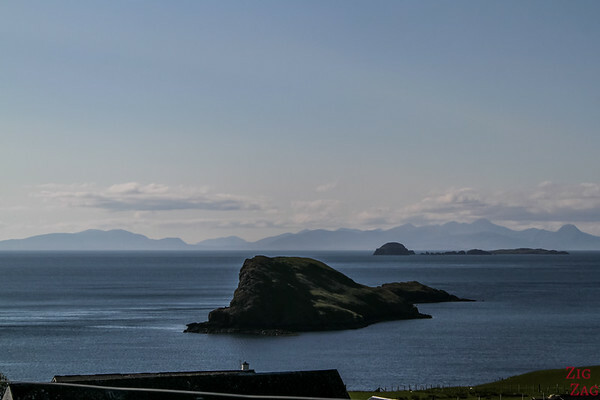 And in front of you appear the Scottish Islands of the Outer Hebrides: Harris and Lewis. On a clear days you can clearly see their mountain lines. 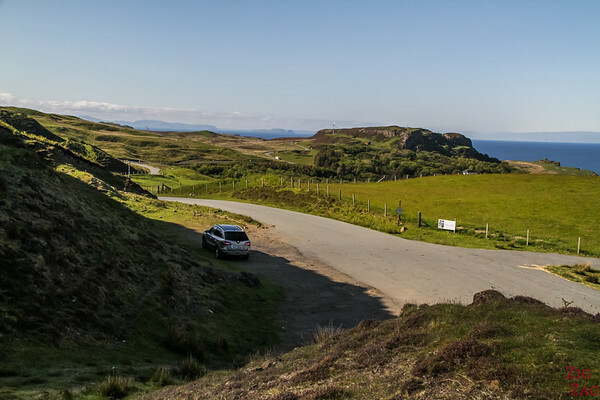 Ferries depart from the end of this road at Uig (only 2h ferry). Duntulm castle is actually not much. You could easily miss it as you drive around. 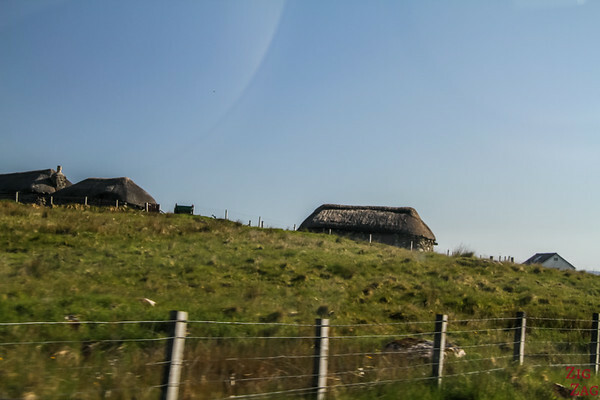 The ruins are located near the small village of Duntulm. 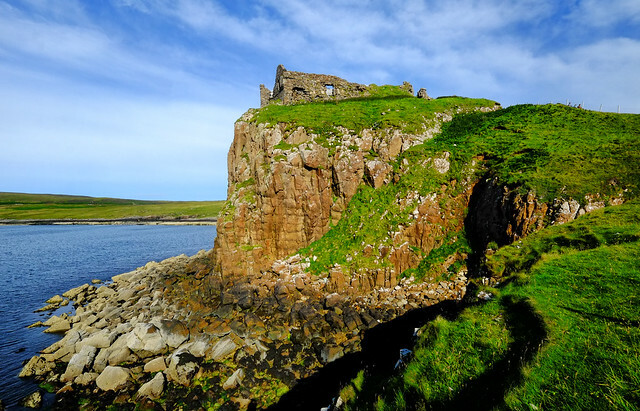 The Duntulm castle was built in the 14th and 15th centuries and was the subject of feuds between McLeods and McDonalds. The latest fairly took control during the 17th century. It was abandoned in 1732 and its stones used a building material for a new residence. Today not much remain. 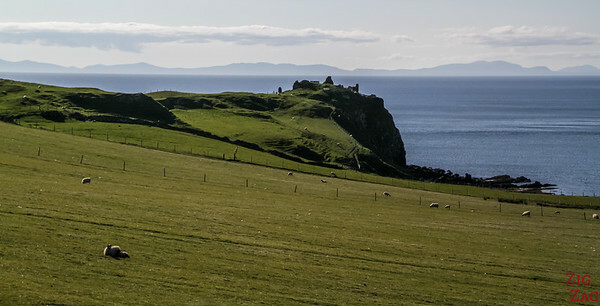 You can just imagine the 9m tall structure of the Duntulm Castle as it was in a very strategic place. 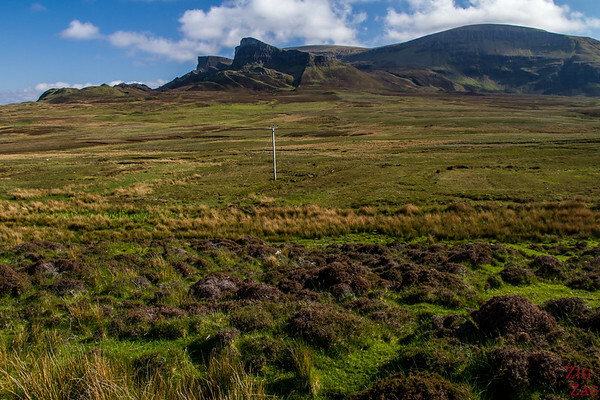 To get closer, drive path the Duntulm Castle and find the small tracks around the farming land (the the west of the ruins). It will take you to the beach with good view of the cliff (short but not easy path). However you cannot get to the ruins themselves as there are risk of falling rocks. 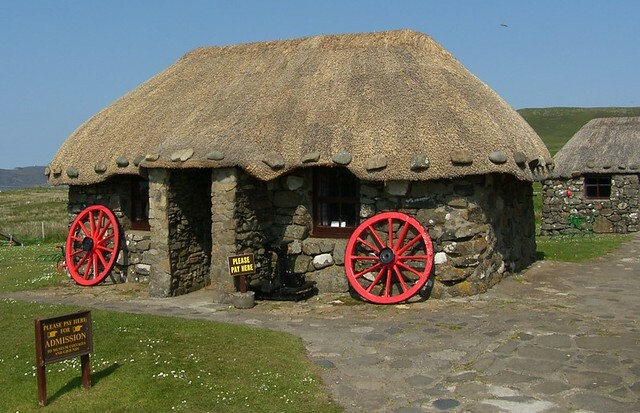 A little bit further is the Skye Museum of Island life - a small outdoor museum with tatted cottages and old tools. Step back in time to see how islander used to live. There is a small entrance fee, opening hours are Mon - Sat: 9.30am - 5pm. 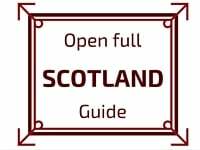 Plan 1 hour for a tour - more if you like history and want to read all the information. 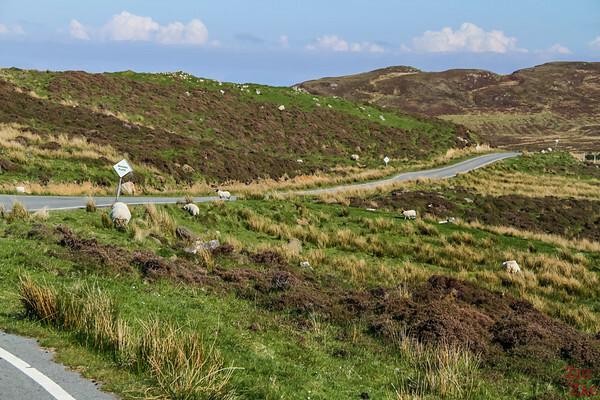 And the roads leads to Uig, the town where the ferry departs to Tarbert in the Outer Hebrides islands. 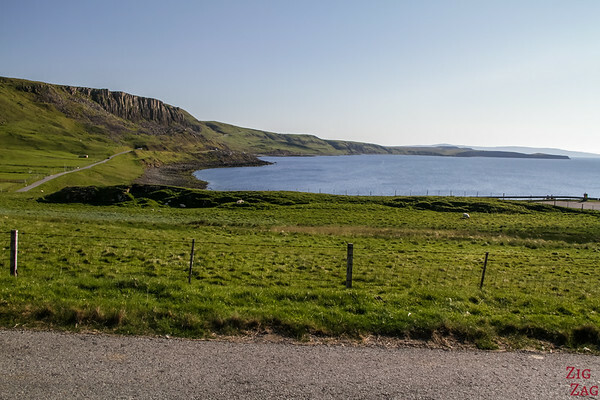 The bay where the town lays is quite beautiful and it would be a great place to stay for a night. 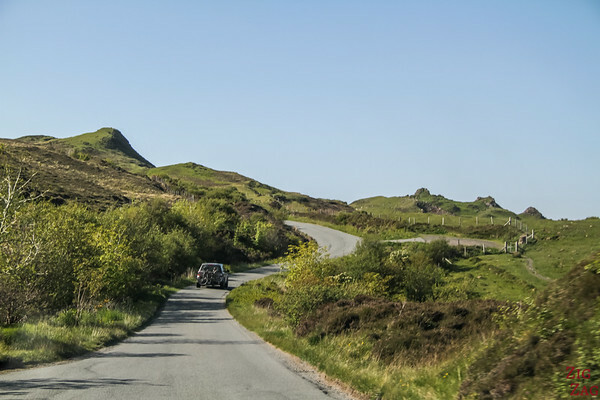 If you still have time, nearby is the beautiful yet not indicated Fairy Glen Skye with mini-mountains and mini-loch. Your pictures are stunning!!!! 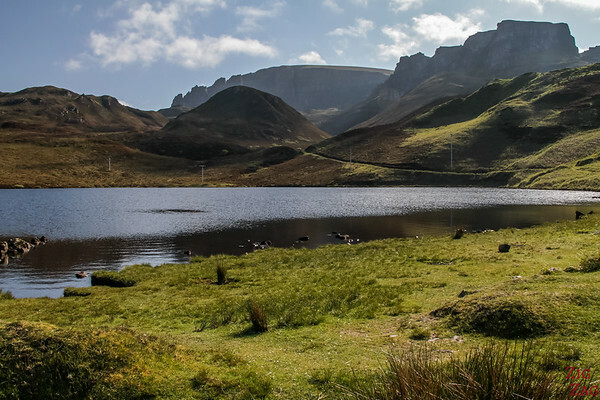 Brought back some really lovely memories I have of visiting Skye, I think I left a little part of my heart there! 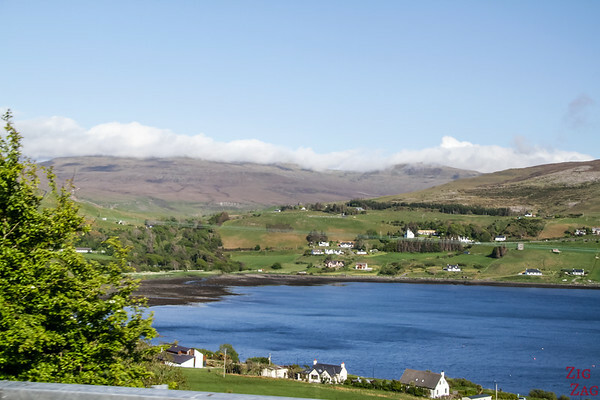 I have to agree with Una, Skye is truly stunning and I cannot wait to return this year and relive some of my most cherished memories!